Always a favorite! This is more a post for esthetics rather than a recipe. 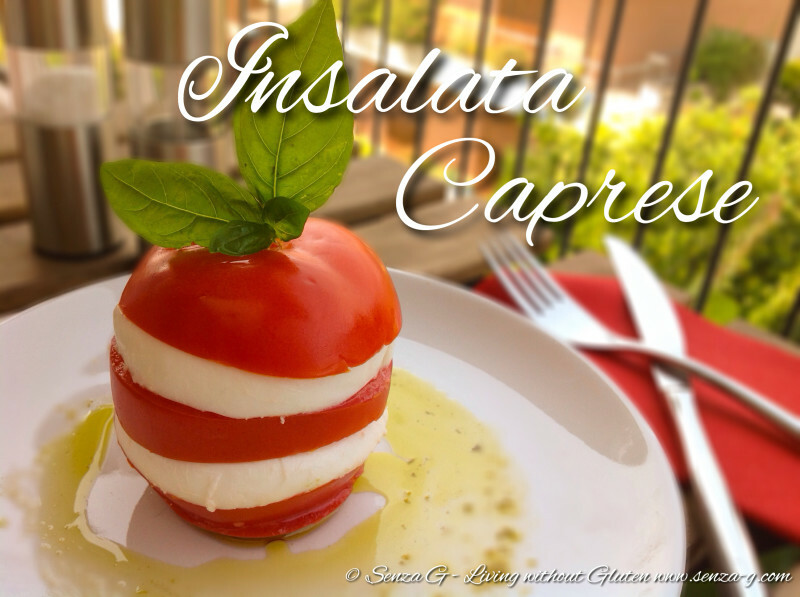 Just a pretty way of serving individual Insalata Caprese if you have friends over for dinner. All you need is a sharp knife, beautiful red tomatoes, Mozzarella Di Bufala, some basil sprigs and a little patience. Using a sharp knife, slice a little off the bottom of each tomato, so it will help keep the tomato upright. Then slice the tomato in three, horizontally. Set aside. Slice also the mozzarella, approximately the same thickness of the sliced tomatoes. Place the mozzarella slices on a paper towel for a few minutes so they will not have too much liquid. Assemble the tomato again but place equally sized mozzarella slices in between. See photo. Place each tomato onto individual plates. Drizzle a little olive oil or if you have basil oil and place a basil sprig on top as garnish.